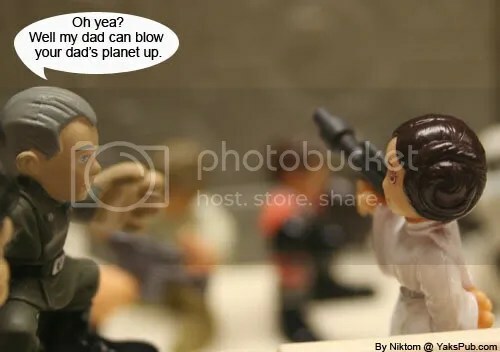 I think Leia has a better comeback. Vader owns the Death Star. if Tarkin`s father was vader and Luke`s father was vader then tarkin and luke wold be broters.